On 9 and 10 October 2017, a high-level delegation from UCLG participated in the 8th edition of “Local Government International Actions”. Led by President Parks Tau, the delegation noted the need to strengthen the international action of local governments to help achieve the development goals and promote a world with greater solidarity. More than 1,300 participants attended to take part in the new model of “Local Government International Actions”, which was organised by Cités Unies France (CUF, French United Local Governments). Under the slogan “think local to act local”, the event highlighted common challenges, as well as how the stakeholders are interrelated and the prominent role that local governments play in implementing sustainable development. 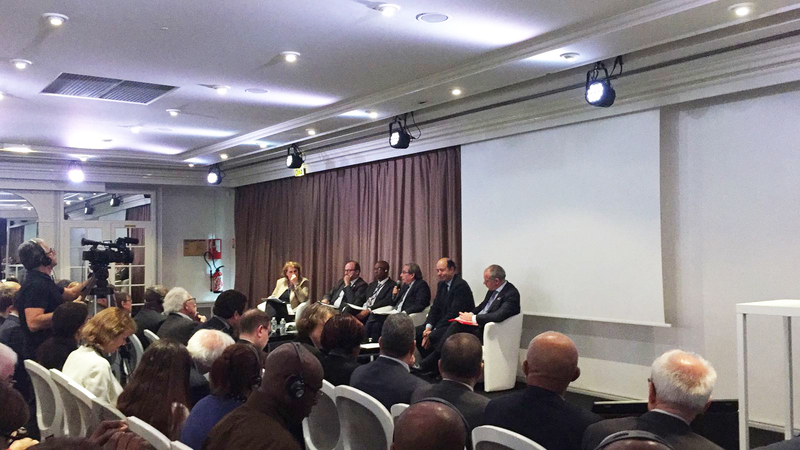 The session which UCLG moderated, in partnership with CUF, provided an opportunity for sharing local and regional governments’ experiences of ownership of the SDGs and to encourage dialogue with the French Development Agency (AFD), the French Government and the European Commission. 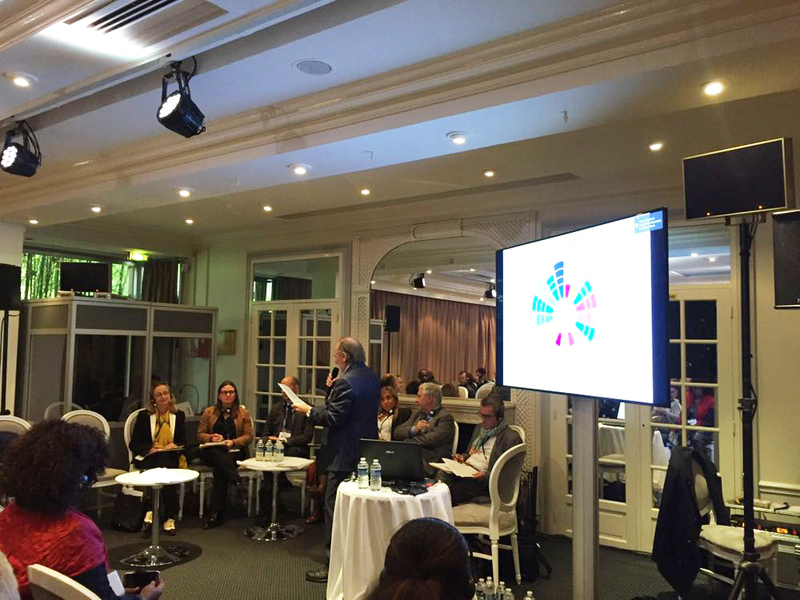 The presentation of the report on the implementation of the SDGs at local level, which UCLG prepared for the United Nations in July 2017, was a chance to revisit the topic of local governments’ ownership of the SDGs in France. Several speakers, including Jocelyne Bougeard, Vice-President of the French Association of the Council of European Municipalities and Regions (AFCCRE), stated that a large number of local governments in France needed to improve their knowledge, use and ownership of the SDGs. Guillaume Cros, Vice-President of the Occitanie Region, announced the start of the SDGs’ Tour de France, on 7 and 8 November 2017 in Angoulême, which is an event of the Association of French Regions and the Agenda 21 Committees. With supporting indicators, Corinne Martinez, Chair of the Committee on Agenda 21 and sustainable development of the Gironde department, which prepares the Sustainable Development report, showed how public policies may be reviewed from the perspective of the SDGs. On behalf of the State, Vanessa Lorioux, Head of the Sustainable Development Office of the General Commission for Sustainable Development, highlighted the government’s efforts and invited all local governments to co-develop France’s report at the next High-Level Political Forum at the United Nations. Returning to the issue of means of and opportunities for action, Thomas Melonio, Director of Partnerships at the AFD, emphasized that the SDGs propose a global framework for action, which goes beyond the North-South distinction. He presented their initiatives to support local governments in the French overseas departments (DOM). The President of Climate Chance, Ronan Dantec, stressed the desirability of harmonizing climate action, climate finance and the implementation of the SDGs at local level. The new Director General of CUF, Geneviève Sevrin moderated the Plenary Session, in which President Parks Tau participated. The session provided the opportunity to call on local governments and development stakeholders to share their different experiences more effectively. Roland Ries noted that achieving the SDGs depends on the everyday actions of cities and must also lead to international action by local governments. UCLG President, Parks Tau, reminded the session that networks of local and regional governments make efforts to promote the SDGs and to mobilize their members, make them interact and cooperate at global level. He called for increasing local and regional governments’ resources and for these governments to be recognized as full partners in the achievement of the 2030 agenda at local level. As a concluding remark, Ms. Geneviève Sevrin hoped that the next Plenary Session would have a more female face. The session, which Platforma organised, provided an opportunity to look back on the progress made for local governments in Africa and in relations with the EU. Jean-Marie Tetart, Chair of the Committee on international cooperation of the Yvelines department considered that the upcoming EU-AU Local and regional government forum was a sign of recognition by the European Union and the African Union that local governments are at the centre of their relations and the development of regions. For Boubacar Bah, President of the Mali Association of Municipalities, the challenge for associations of local authorities in Africa will be to act upon this recognition, to get States to sign the Charter of Local Self-Government and to establish an environment that is conducive to realising local governments’ potential in Agenda 2063 of the African Union and for the 2030 Agendas..